Welcome to Arcadia on Carrington - a grand country home that is stylishly furnished with collectables and artwork. 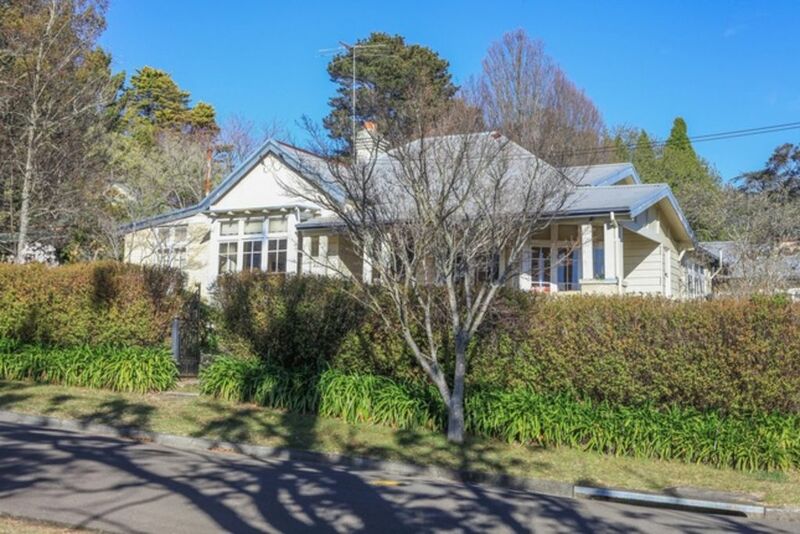 Arcadia on Carrington is close to bushwalks, escarpment views, renowned restaurants and the Katoomba town centre. There is also a large main bathroom with shower and spa bath, so 3 bathrooms total in the house. Arcadia on Carrington is a stylish and comfortable retreat, particularly for four couples with plenty of space. Tariffs quoted within the Stayz/Homeaway system are subject to system constraints and are indicative only. Please enquire with guests numbers for an obligation free exact quote. All properties are centrally heated, and several also feature gas log fires or slow combustion fireplaces for cozy winter evenings! We are happy to help and offer suggestions for your group. Come and experience the unique character of the Blue Mountains. A gas fire place is located in the living room. The pantry has basic supplies provided to help make your stay more comfortable. We had a lovely stay at Arcadia on Carrington. There was plenty of everything you could want for in the kitchen and bathrooms. Well located and very homely. The only negative is that the bed in one of the rooms with the ensuite needs changing. The mattress was very soft and dipped in the middle. This was the single beds put together, this was not comfortable. On the whole a very pleasant stay. This might be an issue with two single mattresses pushed together to form the king bed. We will have a look at this and see if it can be improved. Beautiful house with character , closet to all the tourist attraction , we will stay here again. Our group of eight had a lovely weekend recently in the Blue Mountains. However, some aspects of this home were under par with what we experienced. We certainly didn't consider it value for money. One of the single beds was broken and on an incline. A wardrobe in the smallest bedroom had a broken door and couldn't be used. Another bedroom didn't have a wardrobe at all! There was a sewer problem too; if raw sewage comes up through the floor of the main bathroom, it isn't connected to the note on the toilet (like we thought), but is an 'emergency' and the owners should be notified asap! Have never encountered this problem - ever! The kitchen is very well equipped and the location was within walking distance to Echo Point and Katoomba shopping precinct. The sunrise from the front of the house is magic. We will return to the Mountains next year, but not to Arcadia on Carrington. Its just a really nice property that will suit a whole range of groups. 4 hugs bedrooms with 2 x en suite. Awesome garden, BBQ area and fire pit plus a separate indoor bar area with a jukebox!! All this and 30 seconds across the rod from the most spectacular views!! Will book again in a heartbeat!! Great location opposite the Bush with lovely views. Large and roomy for 4 friends on a weekend away. Great space with many spots to sit in and get away so great for a group travelling together. The garden was untidy and overgrown and the outside of the housw needs some TLC. Nice touch with music playing on arrival. Eclectic mix of artwork , nice feel to the place. Wonderful home full of character, warm and comfy..